Large stocks of used vertical mast booms usually available, all LOLER certified with full history. Available now for fast delivery, UK-wide. 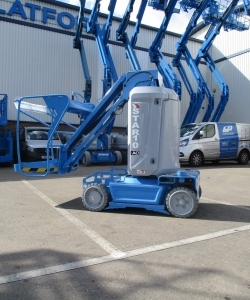 This brand new Haulotte Star 10 is in stock and available for immediate delivery. Supplied with Haulotte's standard 2 year warranty.